The warmth of wood grain. The sleek feel of metal. The cool of natural stone. And hundreds of other choices. With over 500 surfaces to choose from, DI-NOC architectural finishes offer it all, at a budget-friendly price. Specify them and you won’t think faux – you’ll think, fantastic. What makes 3M™ DI-NOC™ Architectural Finishes better? Aesthetics: DI-NOC architectural finishes resemble natural materials and other types of surfaces to an astonishing degree. They deliver the look you want, at the price you need. 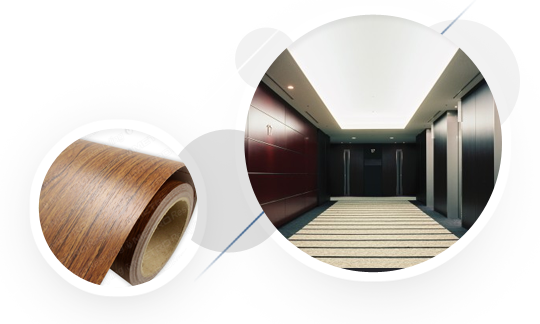 Environmentally friendly: DI-NOC architectural finishes are not produced from trees or metal-bearing ores. A green building product, they go up fast, with less likelihood of error and waste. And when their lifecycle ends, select DI-NOC products are easier on the earth. Easy application: 3M Comply™ Adhesive Technology is repositionable and virtually eliminates bubbles, simplifying and speeding application. Yet it bonds powerfully to virtually any substrate. Why you should insist on 3M™ DI-NOC™ Architectural Finishes. For renovations: Lightweight and self-adhering, DI-NOC architectural finishes can be applied in situ to the existing substrate, reducing labor and material cost compared to natural materials. With DI-NOC products, you create a whole new look, quickly and inexpensively. But not at the expense of aesthetics, thanks to its uncanny resemblance to natural materials. For new construction: Perhaps you prefer the authenticity of real wood, metal or stone. That’s only natural. Use them for select areas. Specify DI-NOC architectural finishes everywhere else. You’ll get cost savings, speed of application, durability – and still maintain the aesthetic look you desire. You get the full visual impact of natural materials such as wood, metal and stone at a fraction of the price. Applying DI-NOC architectural finishes directly to substrates – including ceiling tiles and drywall – saves time, money, and makes application fast and easy. Most DI-NOC architectural surfaces earn LEED credits for green building. Specify them instead of materials that come from forests or metal-bearing ores that require mining. And when its lifecycle ends, DI-NOC products are easier on the environment, too. Perfect indoors and out. On flat surfaces, or over complex curves. Perfect for walls, ceilings, floors, furniture or fixtures. The vinyl material itself is amazingly flexible. 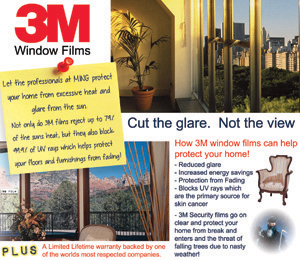 Together with 3M Comply™ Adhesive Technology air channels, it enables fast, easy, virtually bubble-free application.